Interviewed by the Wall Street Journal On Texting My Kids! Texting, text, text, text. Text, text, text. Texting. It’s what we see all around us. We are all staring down at our phones. Aliens spying from the heavens would believe it is the way us humans choose to communicate. Sitting in a restaurant recently, gabbing away with a big group of family, we observed two young women sitting opposite each other in a booth waiting for their meals, but not looking at each other, just texting, texting, texting. One of the teens in our party suggested that they might be texting each other. 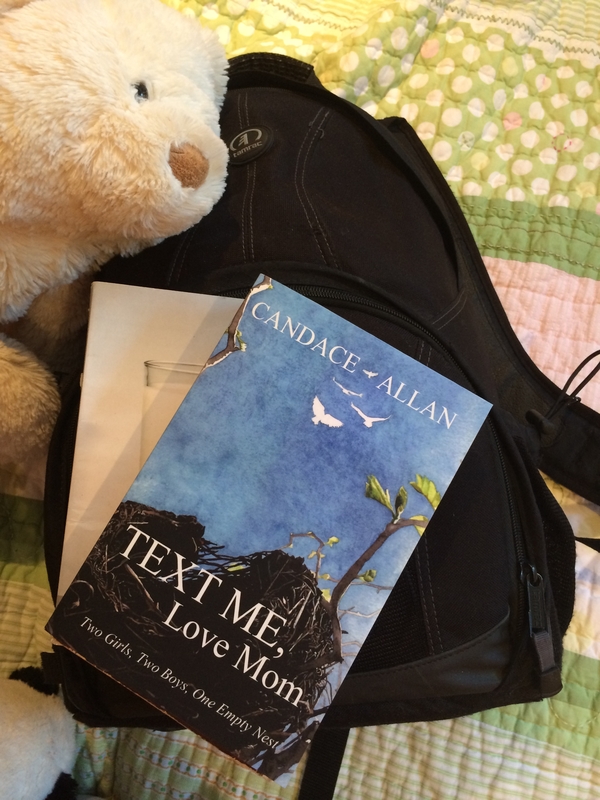 I titled my book about the years my kids were departing home and all the transitions and escapades and sometimes strange and frightening times – Text Me, Love Mom; Two Girls, Two Boys, One Empty Nest (available from Amazon). It’s doubtful as I first started typing away in my little office – looking out over a snowy back yard, and then fresh buds of spring turning to leafy summer foliage, followed by autumn leaves scattering across the yard, and so it went round and round the years – that I could possibly have imagined how much even I would text. Text, text, text. Text, text. My pace was slow walking along Vancouver’ False Creek Seawall while texting my eldest daughter back in my home city. 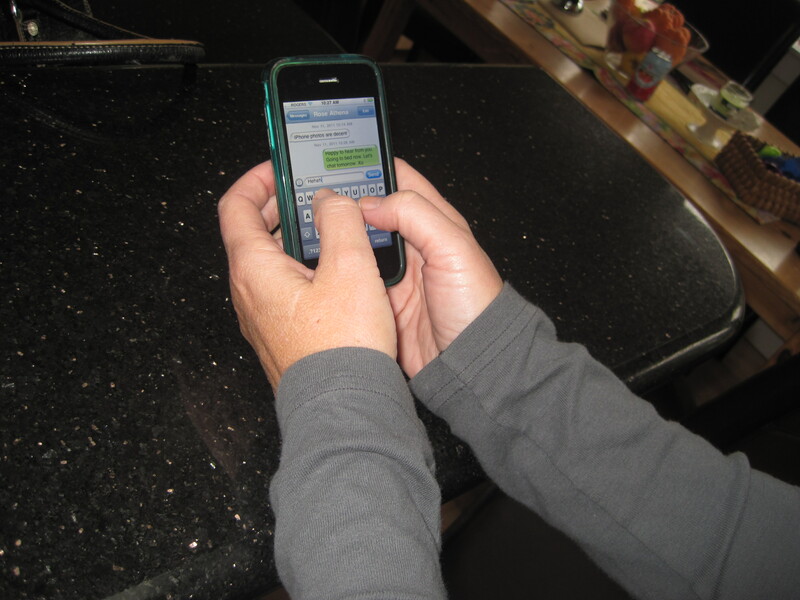 Walking and texting – one of those things you say you won’t do, but you do. The ding of an old-school style email interrupted the trill of another text. The email was from Sue Shellenbarger, a journalist for the Wall Street Journal and the author of their ‘Work & Family’ column. Shellenburger was asking if she could interview me about how parents and children communicate via text. Wow, could she ever. It’s a hot topic that I am known to go on about a bit too much, even as I continue to evolve my texting style with my twenty-something kids. I’d tell her how the guys text differently than the girls, how my peers text differently than young people and that my sons have actually given me direction on how to illicit responses from them. Nervous about being interviewed, in the next forty-eight hours I met up with or called, and yes texted, Zoë, Cole, Hudson and Lily. It was fun, and again educational to chat purposefully with my kids about texting. I took copious notes and referred back to my own book. Shellenbarger was a calm and reassuring interviewer. We had a long and engaging conversation. I don’t know how that will translate to what appears in her Sept. 9th column in The Wall Street Journal. It’s always curious to see how an interview is interpreted into a column. I’ll share a link to it in a blog post next week, and if she doesn’t cover all my tips on texting with adult kids I’ll share those, too. Vancouver, Canada’s most splendid west coast city has had a dry, hot summer. We were there to see our son Hudson’s film, Faith, win the Audience Choice Award in a student film festival. The weather turned the next day and the rains beat down as I drove to our cottage in B.C’s interior on the shore of Shuswap lake. Yesterday the clouds hung low, with rays of sun dappling the still green leaves only intermittently. There was a melancholy mood to the day as I prepared for my upcoming departure to our Calgary home, stacking lawn chairs, scooping water out of the paddle boat before covering it for winter, bringing in a geranium too beautiful to be ravished by fall storms. Yet, during all that I was involved in text conversations with all four of my kids. That isn’t a common occurrence anymore. Days and days can go by without me communicating with some of them. (The boys anyways.) They all had something novel come up and were sharing it with me; exciting, frustrating, a new challenge. Each kid’s texting was representative of their personality, from fervent and fast-paced to calm and sporadic. Today is different. They’ve all gone back to their other tasks. It’s my sister and a friend whose texts trill to me this morning. The lake is calm. The sun is out. 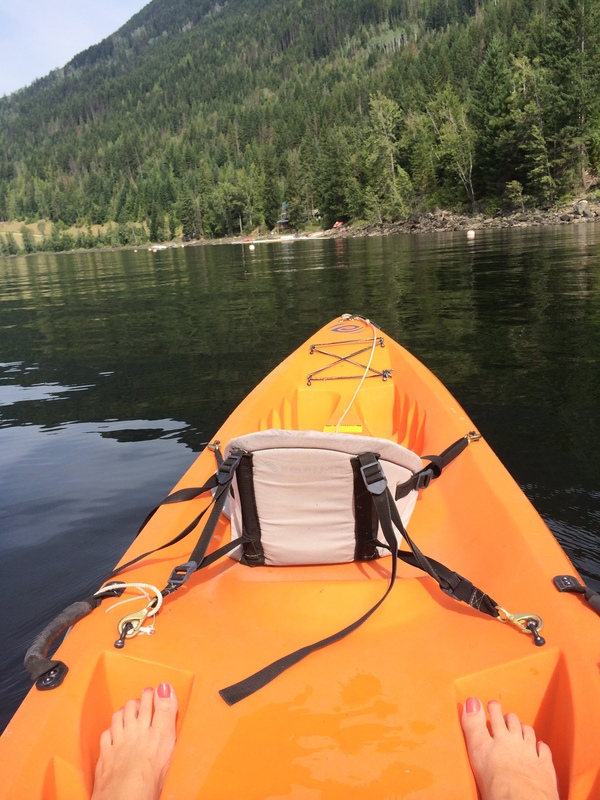 I vow to leave my phone in the house and go out in the kayak to paddle and wonder what Sue Shellenbarger will make of our conversation about text, text, texting in her ‘Work and Family’ column in The Wall Street Journal next week. Stay tuned.